With Valentine’s Day now just two days away, it’s time to think of a happy medium between what you can afford and how much you love your partner. For most, at around $14,500, the Chopard Happy Sport Medium, a sports/luxury watch celebrating its 20th anniversary, might be a price tag too far. Nonetheless it is an icon, considered at the time of its introduction as a union of opposites between diamonds and steel. Building on its twin expertise in the field of watchmaking and jewellery, Chopard decided to endow the sports watch with a distinctive and innovative personality. This pioneering move embodied a new and more relaxed approach, in tune with an era in which people love to combine ultra-exclusive items with free-spirited casual wear, as can be seen in the current trend for skinny jeans matched with tuxedos. 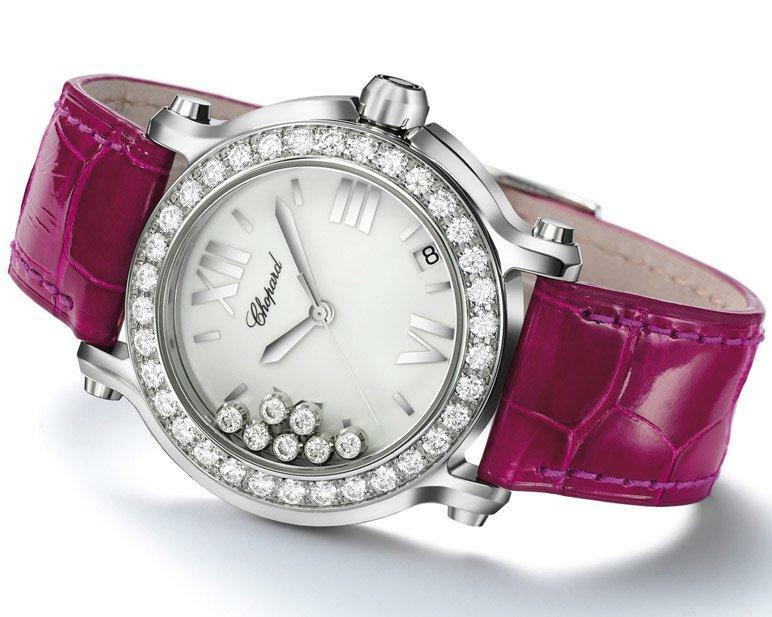 With its gem-set case, its seven moving diamonds spinning beneath two sapphire crystals and its fuchsia pink alligator leather strap, the Happy Sport Medium is by any measure a refined accessory, designed to partner equally well with a leather jacket or an evening gown.